Do you just want to cook more homemade meals which are healthy so that you can be healthier and get more nutrition from your food? Are you already eating quite healthily but getting bored of your current meals? Or do you want to lose weight by eating healthily? Maybe you want to eat more vegetarian meals? If you want to lose weight there are some healthy eating books which even have some exercises in them, including workout plans. For example, one of the latest books like that on the market is The Bikini Body 28-Day Healthy Eating & Lifestyle Guide by Kayla Itsines. 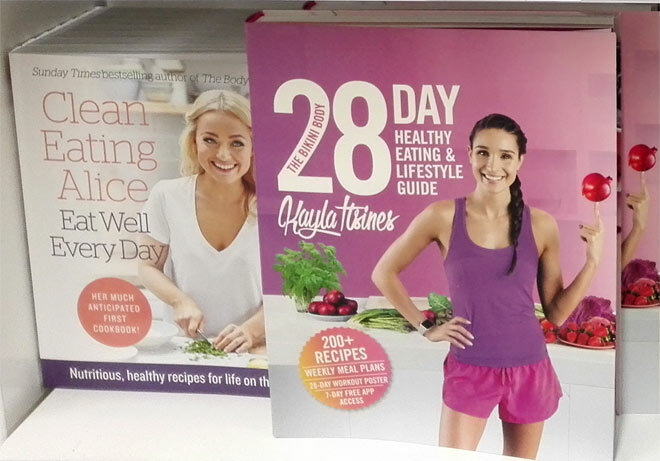 I checked this book quickly in Asda and it seems to be really good – it’s a quite big book packed with lots of information about food, nutrition and healthy lifestyle in general. Another book with exercises in it is called Strong written by Zanna Van Dijk who is a qualified personal trainer and nutrition consultant. The focus of the book seems to be more on exercises but there is also 40 recipes in it which are relatively quick to make and easy to structure around your lifestyle. Here I also wanted to mention healthy eating books by Joe Wicks (aka The Body Coach) who’s been labelled the 2nd most influential person in the food industry. Joe’s first book Lean in 15 features a hundred recipes for nutritious, quick-to-prepare meals and guides you through Joe’s signature HIIT (High Intensity Interval Training) home workouts – revealing how to combine food and exercise to ignite intense fat-burning. There are two more books Joe published after his first book’s success: Lean in 15 – The Shape plan and Lean in 15 – The Sustain plan. Just to mention that his recipes contain meat so they wouldn’t be suitable for vegetarians. 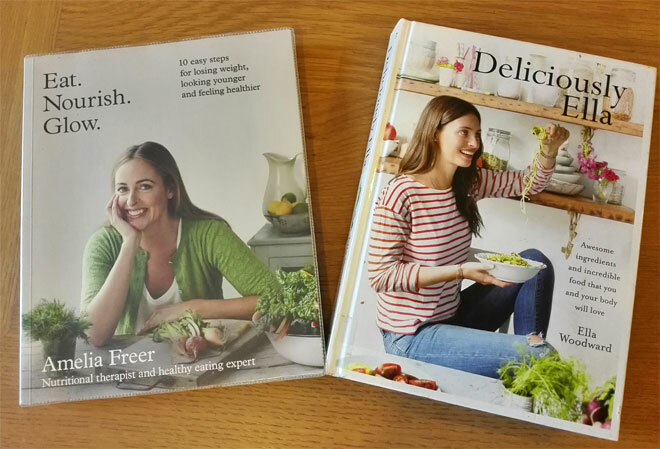 If you are after healthy vegetarian/vegan recipes, then you should check out the following books: Deliciously Ella, Good + Simple (by Hemsley sisters) and Leon: Fast Vegetarian. If a book starts with a few chapters explaining things like what you need for healthy cooking, equipment needed and nutritional information about particular foods, then this is always a good thing. It just helps you to understand healthy eating a little bit more. Reading about benefits of certain foods is great as it will motivate you to eat those foods more often. How much time do you have for cooking? Now, we all seem to have busy lives so most of you would want to buy a healthy eating book with quick and easy-to-make recipes. If that’s your priority then you should consider books from Joe Wicks (for those of you who eat meat) but if you don’t eat meat, then Leon: Fast Vegetarian would be more suitable for you. 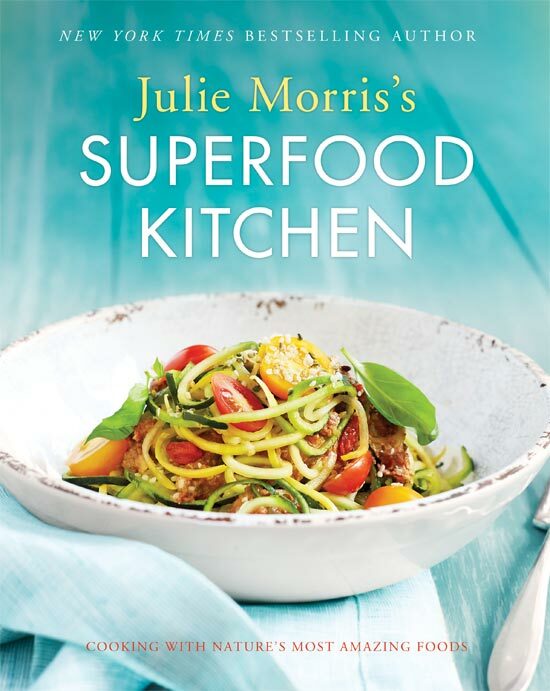 There are of course other books on the market full of quick and healthy recipes – just go to Google to find them. Do you like to stick to ingredients which you are well familiar with or do you want to experiment with new ingredients? Some books require simple, well-known ingredients while others like to be more experimental and will require you to visit your local whole foods store or do some food shopping on Amazon. It’s really up to you what you want. I am one of those people that like to experiment with my food so buying some new ingredients is not a problem to me. Check what kind of ingredients feature in the book to make sure you are not surprised! Do you need a special equipment in order to prepare the recipes? Blender, food processor, a slow cooker? If your kitchen is only basic, then you need a healthy eating book which will not require you to use things like a blender. Alternatively, if you are really up for making something different, it will be worth investing in a good food processor which has a blender attachment as well. If you are lactose intolerant or cannot eat gluten, you need to of course pay special attention when buying a healthy eating book. Deliciously Ella is great for those who cannot consume gluten and so is Ready, Steady, Glow by nutritional health coach Madeleine Shaw. Those of you avoiding dairy should consider Cook. Nourish. Glow by nutritional therapist Amelia Freer. Finally, before you buy anything make sure you read the reviews so that you know what to expect. The best reviews are from nutrition professionals so pay more attention to those (if you can find them). At the moment you can find some reviews of different healthy eating books on The British Dietetic Association website. Check them out here. Do you own any of the healthy eating books mentioned here? Or are you planning to buy one? * This post contains affiliate links (if you purchase a product after clicking on a link I get a small commission which helps me maintain this website and keep all the content free for you. This does not cost you anything). Did you like what you've read? Never miss a post from Be Healthy Now. Get weekly healthy living posts straight into your inbox. Love this really inforamtive for those wanting to buy some good recipes books. I have The Naked Diet and Eat Beautiful and think they are great! Haven’t heard of those books before but will check them out now! It really is important to have some guidelines when choosing a book for eating. 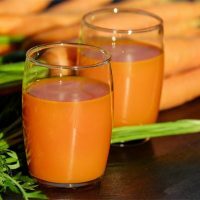 i am just about to start my weight loss journey and I find these tips very helpful. Thanks a bunch for sharing. I will surely use them. 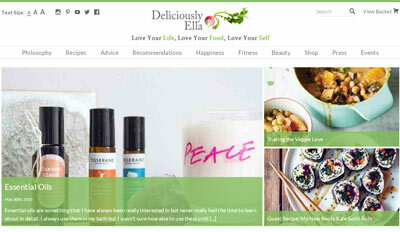 Get started today and subscribe to my weekly newsletter to receive valuable health articles, healthy eating inspiration, healthy living tips and a sprinkle of green beauty. I, Petra Kravos, am a participant in the Amazon EU Associates Programme, an affiliate advertising programme designed to provide a means for sites to earn advertising fees by advertising and linking to Amazon.co.uk.